ON several occasions during the campaigns for the 2015 presidential election, President Muhammadu, then the candidate of the newly formed All Progressives Congress (APC), assured Nigerians that he had turned a new leaf and is now a “converted democrat”. Buhari gave the assurances to allay the fears of Nigerians, many of whom were scared that his presidency could be a repeat of what happened in 1983 when he became Nigeria’s military head of state after a coup d’etat that removed then President Shehu Shagari from office. Both the local and international media at the time wrote about Buhari’s military regime, describing it as one that is “remembered with trepidation by many Nigerians”. Four years after winning a historic presidential election and returning to the helm of affairs, it does appear that the president still retained some aspects of his military inclinations. Freedom of speech, transparency, and respect to the rule of law are all important characteristics of a democracy, but Buhari’s presidency so far has fallen short in all three. Under the Buhari administration, law enforcement agencies have carried out several acts aimed at stifling press freedom and freedom of expression. Journalists have been arrested, detained and intimidated, and even private individuals who criticise the government have been arrested and illegally detained. The cases of Premium Times, Daily Trust, and Deji Adeyanju readily comes to mind. 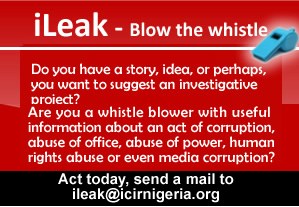 Also, the anti-corruption campaign of the Buhari administration, especially when it affects persons within the administration, has largely been shrouded in secrecy. For instance, nobody seems to know what has become of the corruption case involving the former Secretary to the Government of the Federation, Babachur Lawal, who was ousted from office for alleged contract scam and abuse of office. Similarly, no one has been able to explain to Nigerians how Abdulrasheed Maina, a former chairman of the pension reforms taskforce who had been declared wanted as a result of corruption, resurfaced all of a sudden and was reinstated into the federal civil service. It took a media and public outcry before Buhari directed that Maina be ‘re-sacked’. Even after Maina’s removal, no attempt has been made by the government to arrest him and bring him to justice. Yet, Buhari has continued to detain former National Security Adviser, Sambo Dasuki, who was alleged to have overseen the frittering away of the sum of $2.1 billion that was meant for the purchase of arms. Dasuki was taken into custody shortly after Buhari was sworn into office, and ever since, several courts have granted him bail, but the powers that be have continued to defy the courts. Many liken Dasuki’s continued incarceration, against court rulings, to Buhari’s military regime when top government officials were just hounded into prison on allegations of corruption. Also being kept in custody since 2015 is Ibrahim El-Zakzaky, the leader of the Islamic Movement in Nigeria (IMN) also known as the Shiite Islamic sect. Several courts have ruled that Zakzaky’s continued detention, without charge, by the federal government is non-constitutional, and therefore illegal, but President Buhari appears not to be bothered. Perhaps what could be described as the highpoint of the present administration’s disregard for the law is Friday’s suspension of the Chief Justice of Nigeria, Walter Onnoghen, by President Buhari. This many say is a direct violation of the constitution which, if not well handled, can plunge the country into avoidable chaos. Nevertheless, Buhari remains the candidate to beat in the forthcoming election which is barely three weeks away, just that this time, he is not promising to be a converted democrat.